*0.0cm of fresh snow has fallen since yesterday morning and at 7:20am today the temperature was -13°C. Cold overcast conditions prevail * be careful outside as the roads and footpaths are very icy and dangerous. Another great free stlye event happening in upper Hirafu above the Welcome Center from 5pm at Herbies is their first rail jam competition of the year – there will also be a huge Toboggan jump session so get up there and check it out. Today is the coldest day of the the year according to the according to the traditional Japanese calendar which divides the seasons in 24 periods. 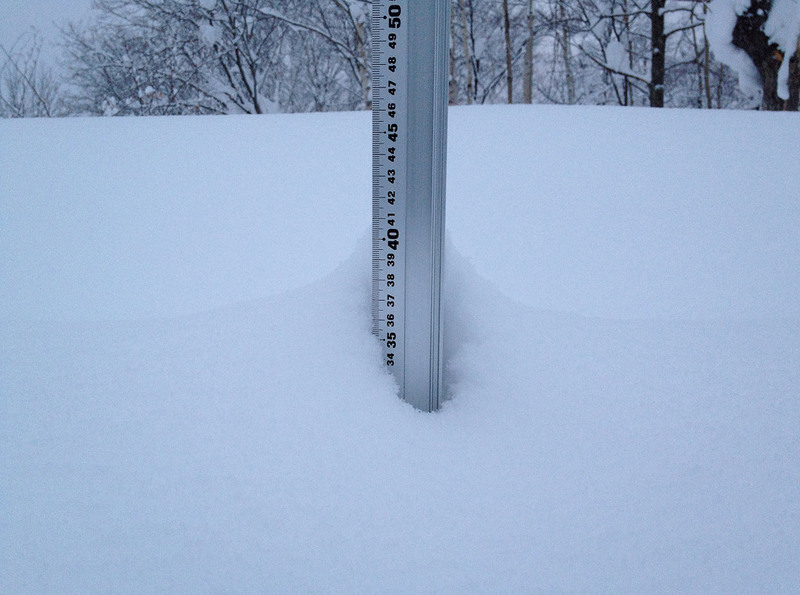 And here are a couple shots from yesterday in case you missed any of the recent updates from Niseko.